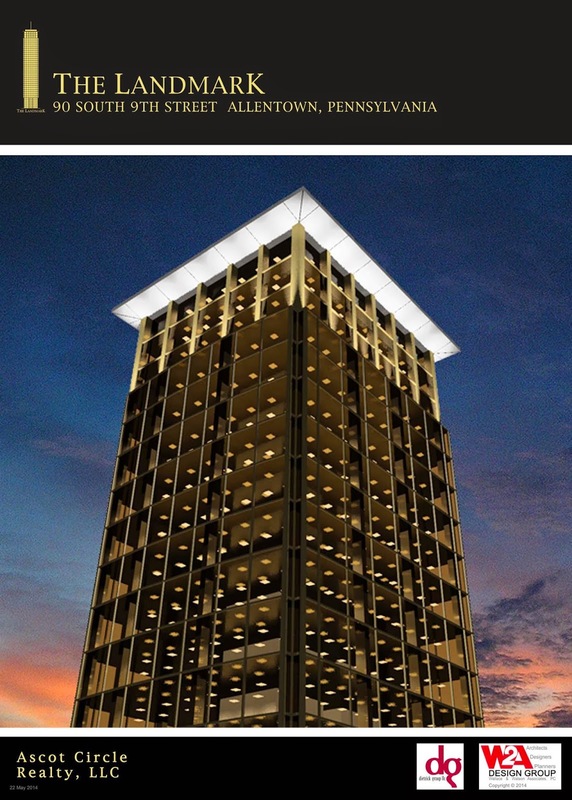 Monday The Landmark received approval from the City of Allentown Planning Commission, advancing what will be the Lehigh Valley's tallest building one step closer to reality. 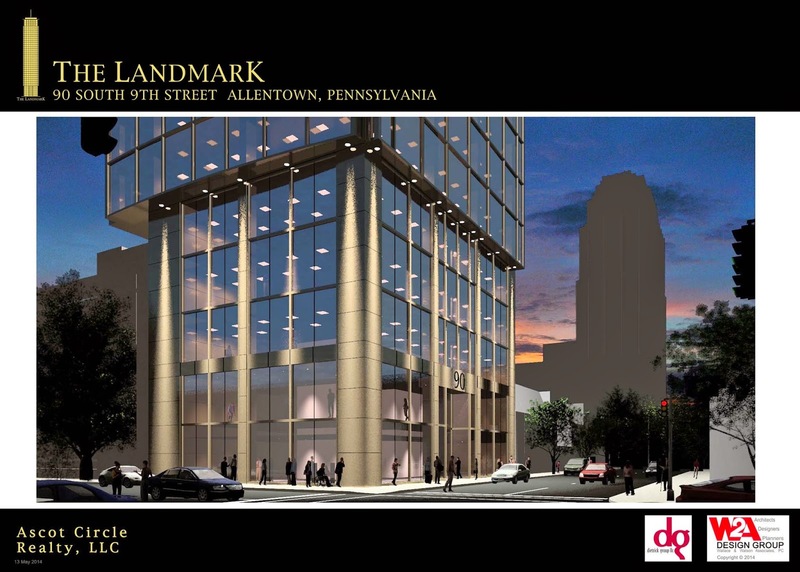 The design for the 33-story Landmark Tower, on the corner of 9th & Walnut Streets includes space on the first floor for retail stores, with office space on the second through twenty first floors, apartments on the twenty second through thirty third floors including five floors of penthouses, and a substantial attached parking deck. In addition to developing detailed design and construction documents, W2A will continue to assist developer Bruce Loch navigating the City approvals process, including obtaining two required zoning variances and ANIZDA funding. IF YOU ARE INTERESTED IN THE OPPORTUNITY TO LEASE SPACE IN THIS EXCITING NEW BUILDING, PLEASE DON'T HESITATE TO CONTACT US! W2A and Landmark are in the news! Following are links to our most recent press!